The versatile Super Eagles Attacker, Alexander Iwobi has been placed up for sale this summer by the English Premier League side Arsenal. 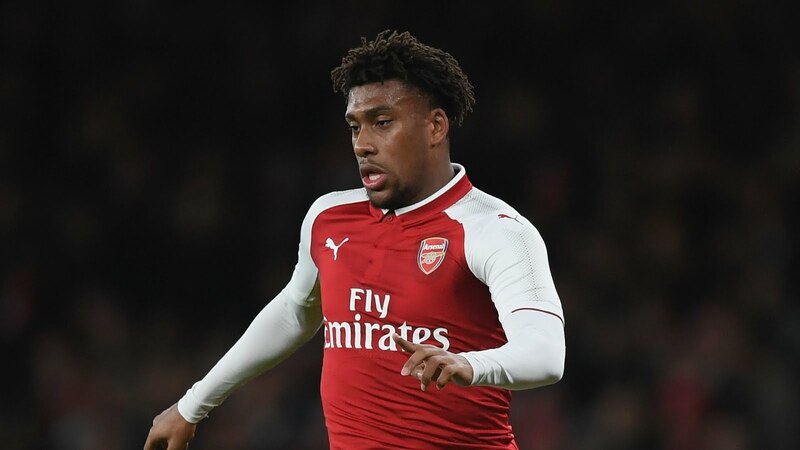 Iwobi has been a regular over the last two seasons, but his future at the Emirates Stadium has been thrown into doubt following the arrival of Unai Emery as Arsenal boss. The 22-year-old forward came through the academy ranks at Arsenal and is just two appearances short of 100 for the Gunners. According to Il Messaggero, Iwobi is available for £22m this summer, and Italian giants Lazio currently lead the interest. He scored three times and registered seven assists in 39 appearances in all competitions for his London club. The young player was a member of the Super Eagles squad at the recently concluded 2018 FIFA WORLD CUP in Russia.